Old Spice wants you to get in the shower with Von Miller. The Denver Broncos star is cameoing in the brand’s latest, most ridiculous campaign yet. It’s called the Old Spice Foam Zone and it’s a live, two-day, football-themed obstacle course game show. It launches on Monday September 17 on YouTube, Twitch.tv and Facebook Live at 5pm ET. The competition takes 24 brave competitors to the "Lost City of Football" where they must overcome six over-the-top obstacles such as The Foam Waterfall of Doom, Fourth and Inches and The Von Finale while combating foam cannons, temple guards and some extremely slippery footing to have a shot at taking home the coveted Foam Zone Trophy. 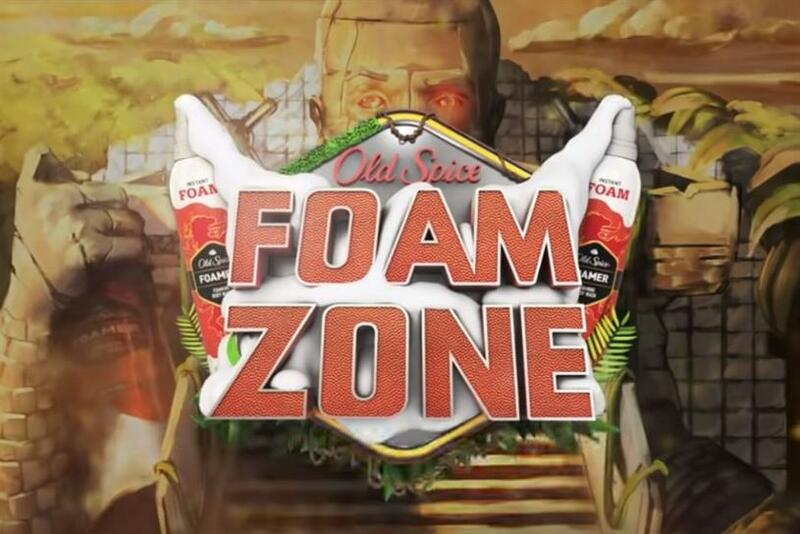 Foam Zone is created by Old Spice and Wieden+Kennedy Portland with production by MediaMonks. It debuts as the brand pushes Old Spice Foamer, a new foaming body wash.